Never Ridden a Horse Before? Even if you have never ridden a horse before you can still book that dream guest ranch vacation. Most guest ranches offer horseback riding lessons so that 1st timers can feel confident saddling up before joining more experienced riders out on the trails. 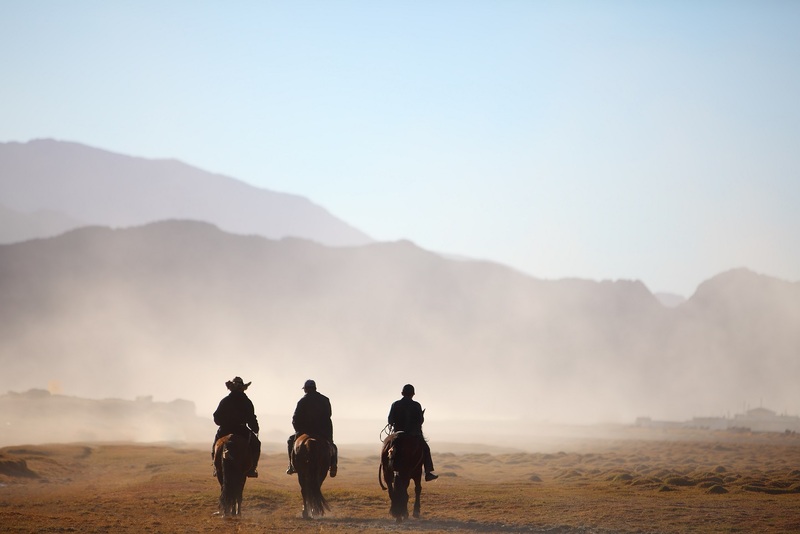 Horseback riding is a thrilling activity, but it is important to learn a few of the basics before setting off on your ranch adventure. 1) Before booking your guest ranch vacation find out whether the ranch that you want to go to offers lessons for first time riders. 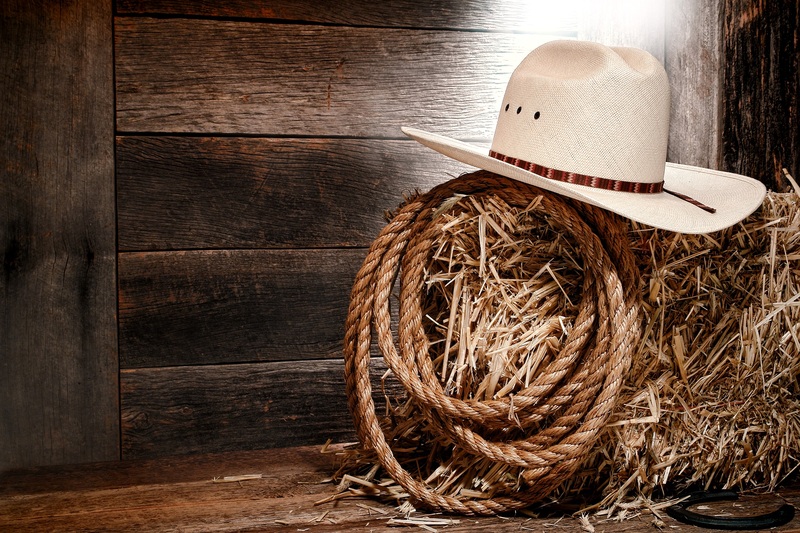 Let them know in advance that you would like to book some lessons with their experienced wranglers. 2) Be sure to pack sensible riding attire. If you don’t own any riding boots it isn’t necessary to buy them unless of course you want to. 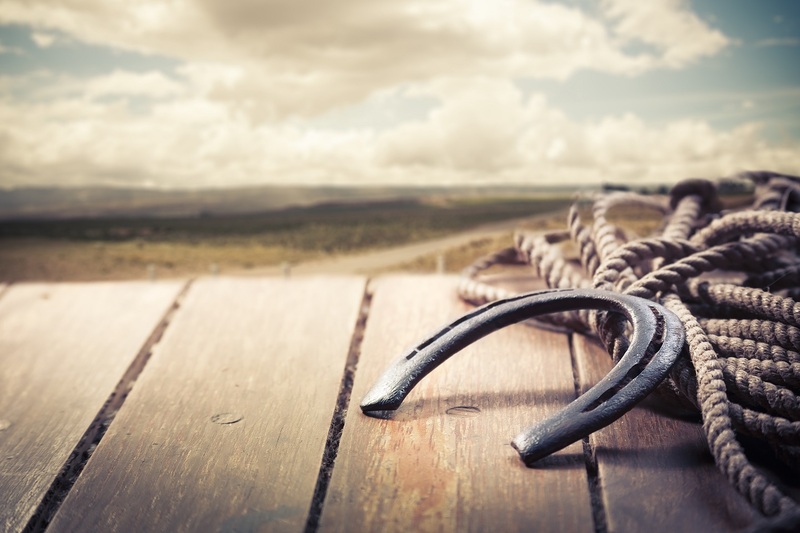 Most guest ranches supply cowboy boots in various sizes that you can use while staying there. Also, make sure that you take a couple pairs of jeans with you since your legs need to be covered to prevent chafing while in the saddle. 3) Request the use of a helmet whenever possible to protect your head in case you fall. And should you fall off try to get right back into the saddle to rebuild your confidence; however, if you really feel like you can’t then it’s best not to force yourself. You can always take a few more lessons and try again. But the key is to try again. 4) Approach a horse diagonally from the front whenever possible to avoid their blind spot. Also use your voice to let your horse know that you're approaching them. Make sure you don’t make any sudden movements and use a gentle walking pace. You don’t want to creep up on them as horses are easily startled. 5) For first time riders it is a good idea to use a mounting block. Position your horse in an open area then place the mounting block just under the stirrup on the left-side. Then make sure that your horse is paying attention and standing still as you don’t want him/her to walk off while you are trying to get on. Have someone hold the reins for you if you don’t feel comfortable yet doing that yourself. Finally put your left foot into the stirrup and pull your body up and over into the saddle. 6) While riding your horse try to remain calm and relaxed. Horses can sense when you’re scared, nervous or relaxed and happy. If you give off a nervous vibe your horse may become jumpy, flighty and generally less compliant. Horses are predominately “flight” animals and your nervousness may be interpreted as a perceived threat nearby. Take a deep breath or chat with the other riders out on the trail to calm yourself and remember that horseback riding is fun! 7) Keep your heels pointing slightly down to prevent your foot from sliding down in the opposite direction and getting caught up in the stirrup. This is important because if you do fall off you don’t want to be dragged by your horse. Also make sure your behind is firmly seated in your saddle to ensure a better riding position. 8) Make sure you that keep your head up and look in the direction that you want your horse to go otherwise you will be sending a mixed message. Maintain a good posture and avoid waving your arms in the air since horses can be easily spooked. 9) To stop, pull your reins back and sit deep in your saddle. Don’t pull too hard as a horse’s mouth is very soft and sensitive. You can also accompany this action with a ''whoa.”' Keep in mind if you pull back for too long you will be signalling to your horse that you want to back up. 10) Don’t forget to engage with your horse. Be affectionate with them. Before setting out make sure that you learn your horse’s name. Tell your horse what a good girl or boy they are and stroke them. Just like you talk with your dog or cat do the same with your horse. Give them treats like apples, sugar cubes or carrots if the wranglers give you the okay. These are just a few of the skills and tips that you will learn about horseback riding if you are new to the sport. Once you have mastered the basics you will find that riding is a wonderful way to spend your time while on vacation. 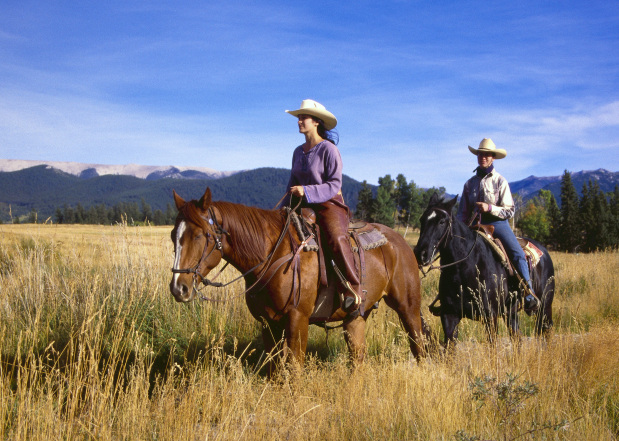 Although there are many fun activities to do at a guest ranch time in the saddle is by far one of the most enjoyable. Sit back, relax, take in the spectacular scenery and make a new friend. Remember every rider was once a beginner!